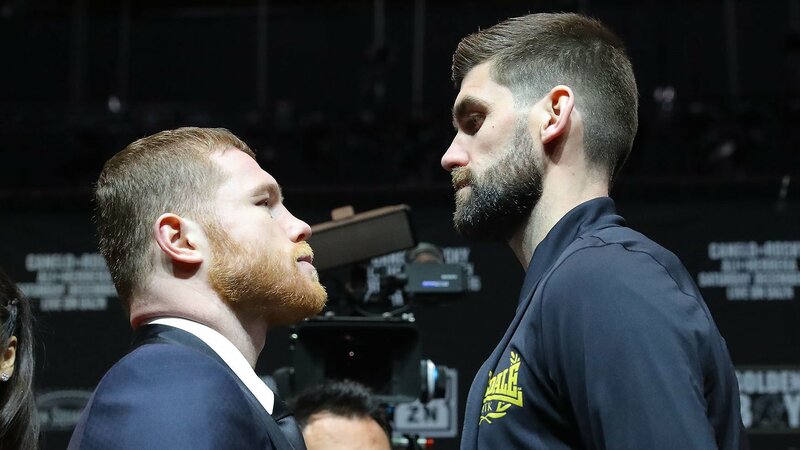 Coming off of the win against Gennady Golovkin that has solidified him as one of today’s greats, WBA/WBC middleweight champion Canelo Alvarez moves up a weight class to challenge WBA (Regular) super middleweight champion Rocky Fielding. The fight will take place as the main event of a card from New York’s Madison Square Garden. Both men will be competing at MSG for the first time. Alvarez will look to become a three-division world champion, while Fielding, in his U.S. debut, seeks the biggest win of his professional career in his first defense of the WBA belt. At just 28, Alvarez has already had a stellar career that’s seen him capture the WBC, WBA and WBO light middleweight titles, as well as his current middleweight crown. In addition to the two highly-touted fights with Golovkin (one draw and one win), Alvarez has picked up wins over the likes of Shane Mosley, Austin Trout, Erislandy Lara, Miguel Cotto and Amir Khan. His sole loss — against Floyd Mayweather — was a commercial success. Alvarez and his team have already set up a potential May return, but the question is if he’ll have one more title in his collection before then. Fielding, the winner of the 17th season of The Prizefighter, has had success in the British circuit, capturing the English, Commonwealth and British super middleweight titles over the course of his 28-fight career thus far. Fielding’s sole loss was a first-round TKO at the hands of Callum Smith in a WBC Silver and British title fight. Fielding captured the WBA (Regular) Title in his last outing back in July, where he finished Tyron Zeuge in the fifth round. The fight, held in Germany, marked the first time Fielding competed outside his home country. Round 1: Fielding comes out working the left jab. Combination by Fielding. Left to the body by Canelo. Left hook to the head of Fielding, Canelo already has Fielding’s back against the ropes, but Fielding gets it back to the center. Shot to the right side of the ribs and Fielding is forced to take a knee. Canelo landing the bigger punches, despite all of Fielding’s efforts. Right hand from Canelo to end the first. Round 2: Canelo gets Fielding on his back foot again. Fielding throws to the head, Canelo aiming for the body. Fielding tries to land in the head in close. Combo to the body by Canelo. Left hook, followed by a right from Canelo. A right hand shakes Fielding up a bit. Canelo landing several uppercuts inside. Fielding trying to fight back but not much landing. Another shot to the body forces Fielding down to a knee again before the end of the round. Round 3: Combo by Canelo to start the round. Combination by Fielding. Canelo working the jab, using it to set up body shots. Canelo landing powerful blows to the body. Canelo with a hook to the head. Uppercut by Canelo. Canelo’s torturing Fielding’s body, making the defending champion bend over. Clinch. Hook by Canelo. Fielding throws a hook. Fielding throws a four-punch combination before another clinch. Four-punch combo again from Fielding. Right hand by Canelo knocks down Fielding, who gets up. But Canelo gives another hard shot to the body, forcing Fielding down again. Ref waves the fight off.